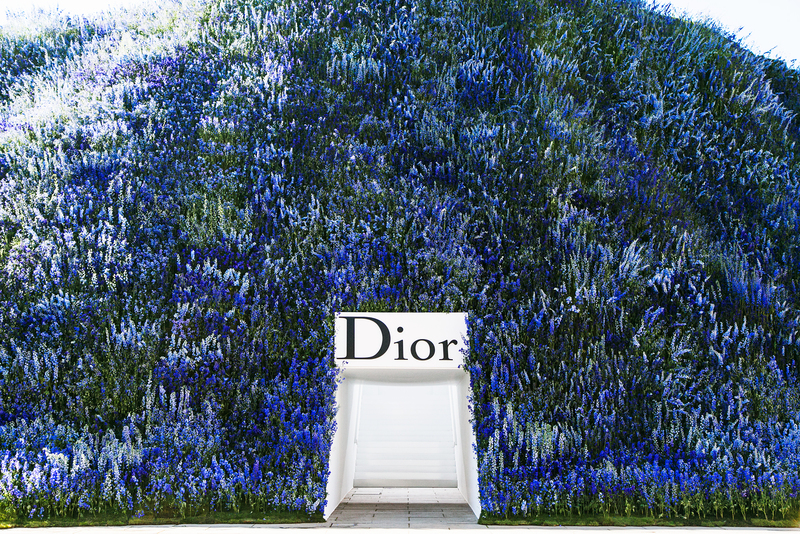 Welcome to fantasy land – the best place on earth for anyone with a weakness for ethereal and impeccably made garments as well as a sea of blue and purple coloured flowers, also known as the world of Dior. For a couple of seasons now I've had to pinch myself to actually understand that I am photographing the show for the brand itself while not trying to grasp it completely since that would freak me out just a bit too much (especially after watching Dior and I, which I recommend for anyone who hasn't seen it). Yet again Dior managed to create the most spectacular backdrop for Raf Simons' brilliant designs without turning it in to a circus. My jaw drops every time I enter this fantasy world and I only hope I'll be lucky enough to continue doing so in the future. Days like these are the best (and the most stressful, times a million and then times another 115) ever.